SHE earns a living making other people look their best. But now Rebecca has earned her own place in the spotlight. 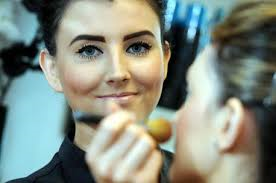 She won the title of Beauty Therapist of the Year in the English Hair and Beauty Awards 2014 held in Manchester. The awards where sponsored by Fake Bake. Rebecca reached the finals because of the large number of clients who nominated her and then, from testimonials, mystery shops and research, she won the title.